Niall OConnor: World War 1 officially ends this weekend! 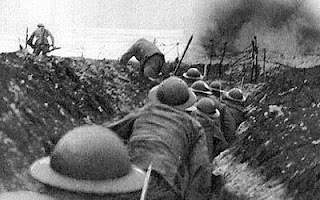 The end of World War 1 was announced today with the final payment from Germany of £59.5 million. The fourth Reich can now begin? How many years before Greece can finish paying its price for being in Europe. Will the social consequences be similar to Germanys after the War when it fostered a fertile breeding ground for Nazism? Oppression ultimately leads to revolt, and the pendulum often swings to the extreme before returning to the norm. Update: UK has now decided to start paying back some loans for wars dating back 300 years! Hear Hear. Well said Niall!